Silom and Sathorn are business district home to embassies, international banks, headquarters of world class companies and posh boutiques. This is a vibrant place which offers an exclusive lifestyle to its inhabitants, in a cosy and luxurious atmosphere. The borough also hosts luxury properties and high-end skyscrapers, which stand along with historical buildings. This mix of periods is an amazing paradox as temples and local markets are next to high futuristic buildings and absolute malls. The neighbourhood is growing very fast, thanks to the aerial metro but traditions keep an important role in the daily life, which makes all the charm of the district. The Grand Palace is one of the major attractions in Bangkok. Built in 1782, the Grand Palace is a massive complex of buildings at the heart of the city. This beautiful monument was the official residence of the Thai king. Nowadays, the King has several places to live in but the Grand Palace remains the spiritual center of the Thai kingdom. Visitors will be surprised by the magnificent architecture et the complexity of craftsmanship as well as the sumptuous paintings. 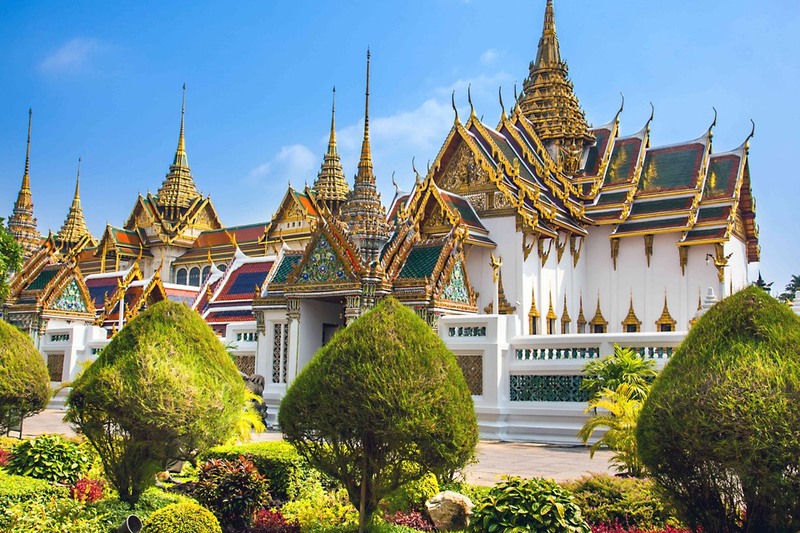 The Wat Phra Kaew is a must-see attraction as this temple is home to the Revere Emerald Buddha. Built in the 14th century, this statue is entirely decorated with precious stones. The Grand Palace is also worth visiting in March, July or November when the King comes to change the Emerald Buddha's clothing. 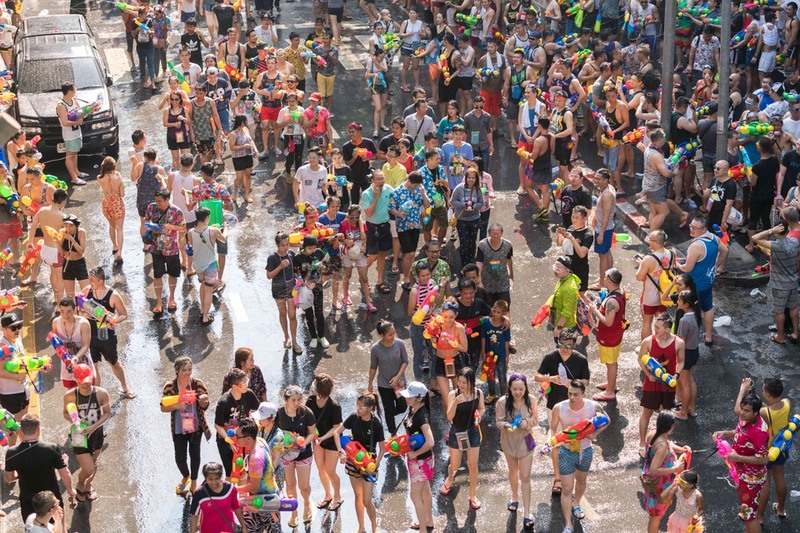 This is a unique moment to experience because all the activities in the city stop to give way to incredible ceremonies. This is a true attraction to admire locals passing over boats to buy fresh products. 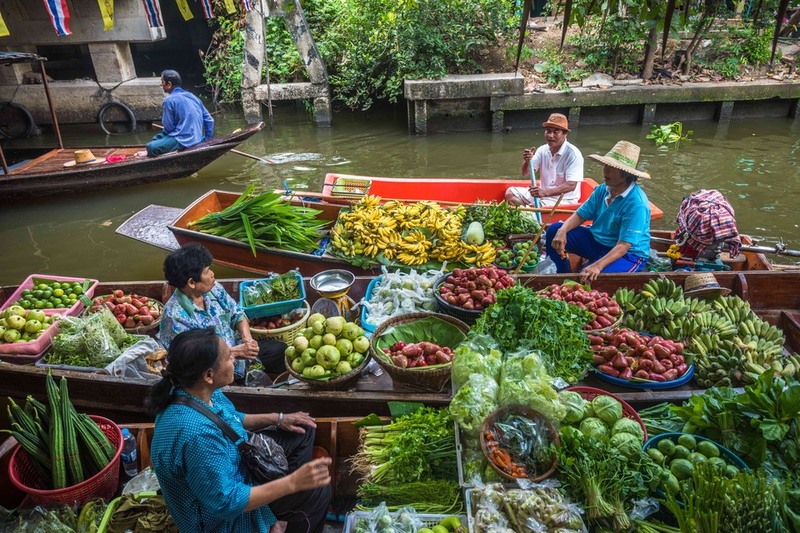 The city of Bangkok is full of narrow canals stuck with long boats which offers fresh food and products. This open market is characterized by a magic atmosphere. The boats and the stalls on the riverbank propose all kind of things, from fruits and vegetables to clothing. The place is generally packed with tourists and locals but this is a fantastic experience to discover. 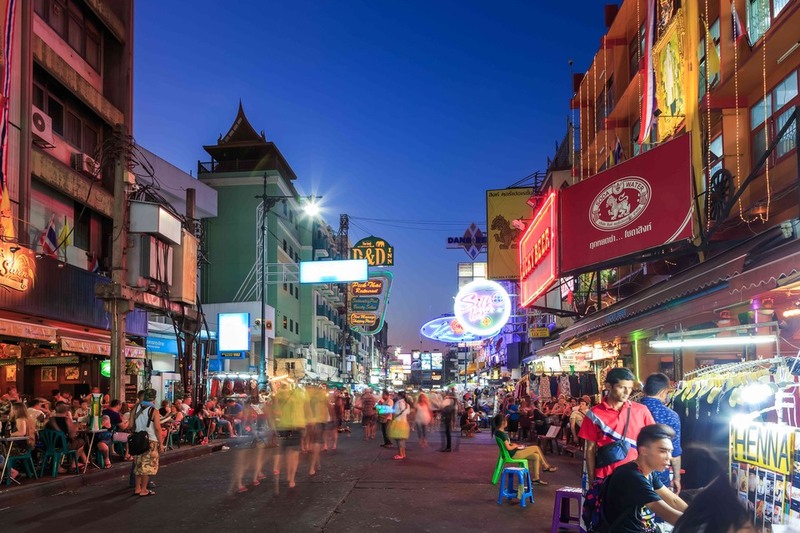 During a stay in Bangkok, you can walk on the famous Khaosan Road situated in central Bangkok. Constructed in 1892 during the reign of Rama V, the avenue could be considered as the "center of the backpacking universe" as it is home to bars, clubs, restaurants, bookshops, market stalls, tattoo shops and even more. 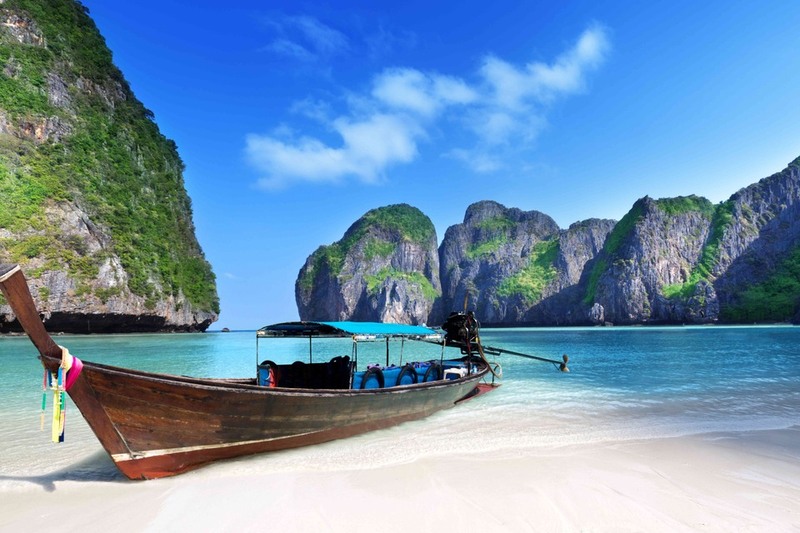 The popular place offers a local vibe that is worth experiencing while visiting Bangkok.